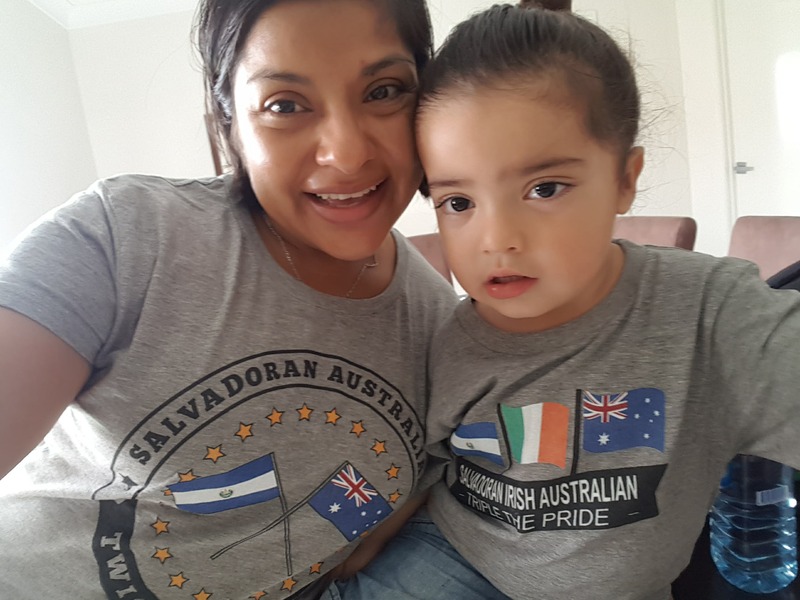 This story is a journey of many firsts…many new beginnings and some real insight of how Nataly travelled to Australia and has now made Australia home – a sentiment a lot of us resonate with, a road a lot of us have travelled on. Nataly’s story begins when she and her family journeyed from El Salvador in Central America, to Brisbane, Australia in August 1985. Nataly was just 6 years old. Looking back at that time, perhaps my birth country and my adopted country had a lot of similarities. I wasn’t aware of the differences of ‘skin colour’ until I was in high school, when a boy told me to ‘go back where you came from’. It would be the first of many times I would hear that phrase. I also realised I’d heard these comments before but, and perhaps it was age, but I’d never really allowed myself to absorb them. For many years after that, I experienced racial bullying, which was often ignored by people in authority. It wasn’t until a friend asked one the bullies why she disliked me so much. The response was “Because she’s always so happy”. I realised that day that the colour of my skin wasn’t the problem. I can’t lie and say those experiences and the ones that followed didn’t affect me – I still carry a few scars. But what I learnt along the way is that whilst I may be considered a ‘minority’, I am also part of a greater number – one that is proud of this sunburnt country, the cultural hotpot and diversity that is this giant island, an island that I can call my Australia. There are over 300 languages, other than English, spoken in Australia. This tells me that many fabrics make up the Australian flag. I am part of that fabric; so is my Irish husband and our son, who is bi-racial and the first born Australian in our little family. He will speak two languages, English and Spanish. He will know Australia is his home and that Ireland and El Salvador are part of his fabric. There is so much abundance in my adopted country for me to feel anything other than hopeful. What a story, what a journey !! Do you have a story you’d like to share with the world ? eMail me at hello@dualnation.com.au and we’d love to give your story a voice ! Oh my goodness! Nataly is one of my dearest friends and I think the similarities of our childhood, growing up in North Queensland brought us together. It was and still is a huge part of my cultural identity . Thank you for sharing part of your journey Nataly. Richard, isn’t it an amazing insight into how Nataly is who she is now ?